There are many reasons for folks to attend Friday’s football game in Sullins Stadium between the Bartlesville Bruins and the Ponca City Wildcats. One reason that would appeal to many is that it is the annual Wildcat Homecoming game with all the pageantry that accompanies that annual event. Another reason might be the Phillips 66 rivalry that developed when Conoco and Phillips merged operations a number of years ago. In the more recent past the oil company has sponsored a traveling trophy that goes to the winner of the Ponca City-Bartlesville football game. Ponca City has yet to earn that trophy. But the principal reason this year is that Friday’s contest is a very important one for both teams. Both are very hungry for a victory. Both teams come to Friday’s matchup with 1-3 records and both lost their opening district games last week. Both teams have experienced lopsided losses. Bartlesville lost last week to Muskogee 63-6 and has also lost to Class 3A Cascia Hall 27-7 and to Owasso 59-14. 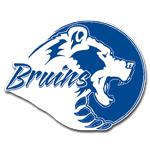 The Bruins’ one win came in the first game of the season over McAlester 27-24. Ponca City lost its opener 42-6 to Edmond Memorial and then was beaten by Enid 42-31. After a 9-0 victory over Guthrie, the Wildcats lost last week at Booker T. Washington 47-0. “This is a big game for us,” Ponca City coach Josh Allen said. “Both teams need a win. Both teams will be ready to play and will come to this game clawing and scratching their way. For sure we need to be ready, because we know they will be.” When Allen evaluates the Bruins, he says they have a solid defense. The fact that Muskogee scored 63 points against Bartlesville last week doesn’t contradict that aspect Allen said, because the Bruins gave up a lot of points on turnovers. “Their defense will give our offense a good test,” he said. “Our defense will need to play like it did against Guthrie,” he added, referring to the fact the Wildcats’ D held Guthrie to negative yardage in posting a shutout victory. “They have some capable receivers and a running back that could give us some problems,” Allen said. “And their special teams are solid.” The Bruin running back is 200-pound sophomore DeAndre Young, “We haven’t beaten Bartlesville since I’ve been here,” the Ponca City coach went on to say. “We really would like to win this one. And the team that keeps the other from making big plays has the best chance of winning.” The Wildcats-Bruins tussle is scheduled to start at 7 p.m.